Exercise Testing can be a very expensive and intimidating experience. 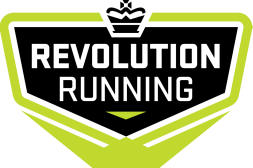 At Revolution Running we know that the gold standard for testing is getting actual testing done at a facility, but want to offer you a reliable testing protocol that you can do on your and complete several times during a season to compare your overall fitness and HR zones. We have an excel spreadsheet that runs your data and spits out your results after running the data through multiple extensive equations. These equations are based off of two of the most reliable research studies on non-laboratory testing protocols. By doing this testing, workout effort levels don't change, but this just gives you some additional information on your current fitness. Our focus has always and will always be Rate of Perceived Exertion, but this is a great way to know how your fitness is progressing and where you sit approximately with everything if you enjoy specifics. These are two tests that you can do on your own and then just email your results when complete at heather.k.north@gmail.com. If you decide to do the testing, you need to do BOTH TEST ON SEPARATE DAYS and remember that you CANNOT HAVE ANY FORM OF CAFFEINE 24 HOURS PRIOR as it will change your HR response. This equation is very accurate for those in their 20's and 30's and will most likely be a little less accurate the older you get as the studies were centered around 20 something athletes. This is a test that you can readminister later in the program to track your progress. All out mile exertion with warm-up. Timed mile time on track with warm-up. This mile needs to be kept at an EVEN PACE AND NEEDS TO BE BETWEEN 8-9 minutes per mile for men and 9-10 for women. This test is a HR response test to a specific pace so you really do need to keep it even. What we recommend is to map it out by 200's so that you are keeping an even pace. 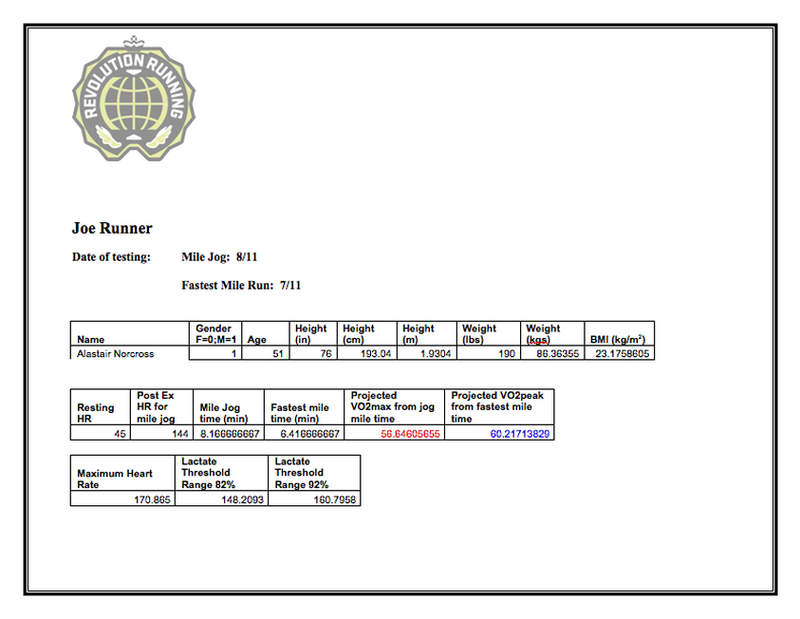 For example, 8 min/mile pace will yeild 1 minute/200m (half of the track). Again...TRY NOT DO ANY FASTER OR SLOWER THAN THE TIME LISTED AND REMEMBER TO KEEP IT EVEN. 1. HR in the middle of the mile and at the end. If you don't have a HR monitor, just take your pulse after the mile for 15 seconds and multiply by 4. Below are several documents that will help you understand what your test results mean and of course if you have any questions please feel free to contact us directly. There is an article below that helps you understand the difference between VO2 Max and VO2 Peak as well so that your results will make much more sense.